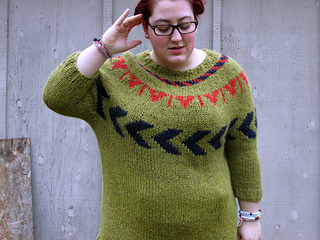 THIS PATTERN IS PART OF AN EARLY RELEASE FOR THE BOOK GREAT NORTHERN. By purchasing the $18 ebook, you will receive the 4 patterns included in “Early Check-In” AS WELL AS all the other pattern pdfs that will be part of Great Northern upon its release in 2017. 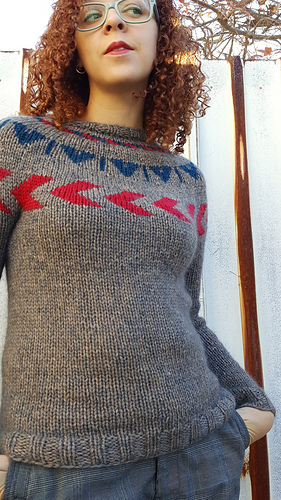 This oversize pullover is simple, slouchy, and comfy. 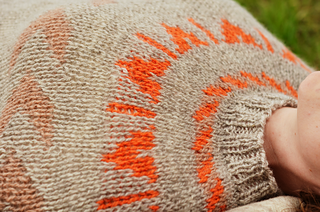 A deep yoke gives it a relaxed style, and simple colorwork adds a bold touch. 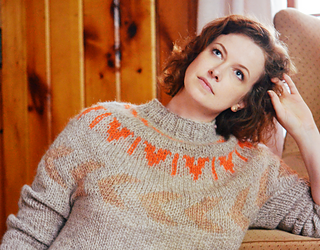 A quick knit with attitude, pure sweater joy. 32 (36, 39.5, 43.5, 48) 52.5, 56, 60.5, 64”. To be worn with 2” positive ease. Shown in Size 39.5”on model with 38” bust. Fancy Tiger Crafts Heirloom Romney 100% American Romney Wool. 200 yds per 100 g skein. 11 sts & 15 rows = 4” in St st, on size US 11 needles, blocked. 12 sts and 22 rows = 4” in 2x2 Rib, on size US 10 needles, blocked and slightly stretched. 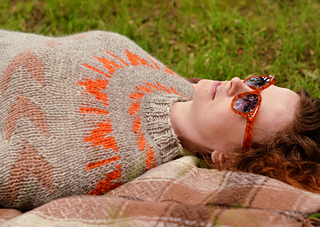 This sweater is worked top-down in the round. Beware yarn substitutions! Wash and block your swatch! .